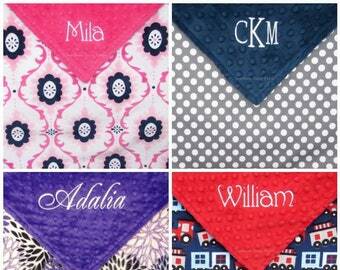 Personalized minky blankets by Southern Sassy Pants are often imitated, but never duplicated. 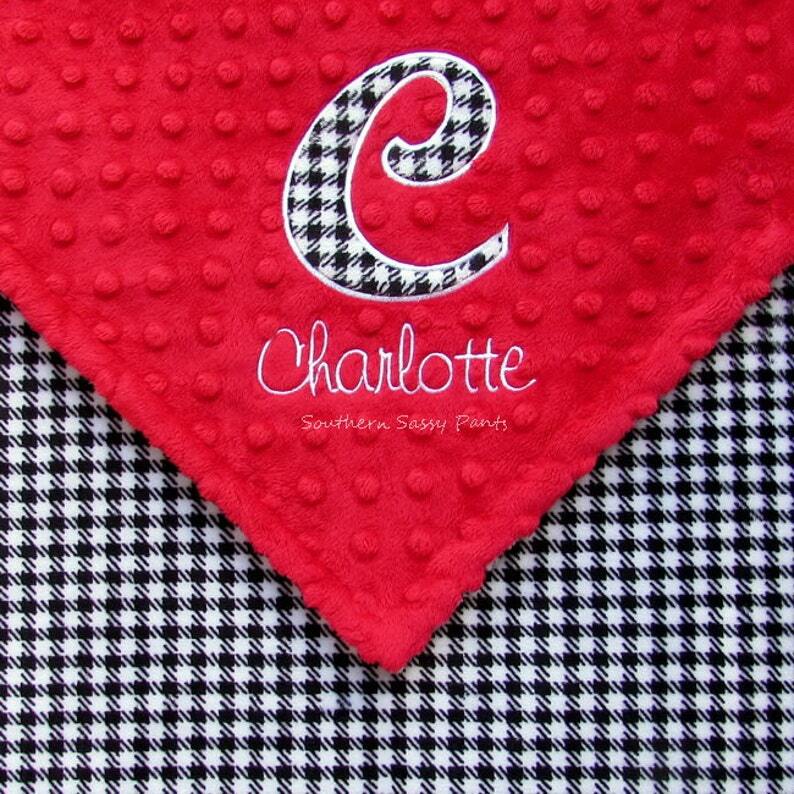 Luxurious red minky dot (or any other color you would like) will be paired with (100% cotton) black & white houndstooth fabric, and appliqued & embroidered with the initial and name of your little one, to create this adorable baby blanket. Too cute! 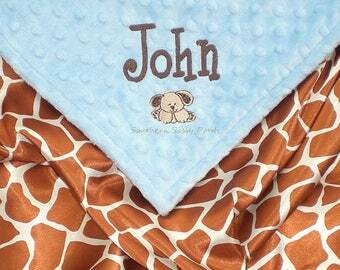 Please note: Although only a girl example is shown here, this would also be perfect for baby boys! 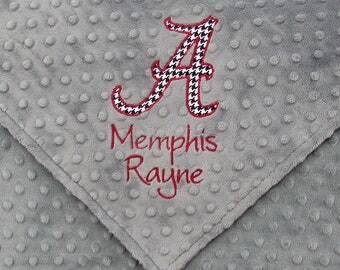 Just specify that it's for a boy, and I will use a more boyish looking font (the B Brantley blanket in the 3rd picture is an example of a font more suitable for a boy). 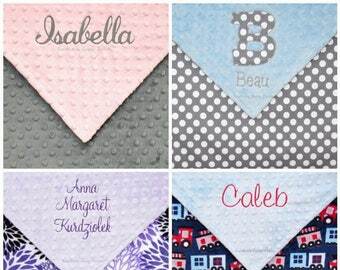 Personalization is included...Would you prefer to have a single initial, a name, a 3 letter monogram, or a name & birthdate, instead of what is shown? No problem...simply let me know what you would like, and I will do the rest. 5. 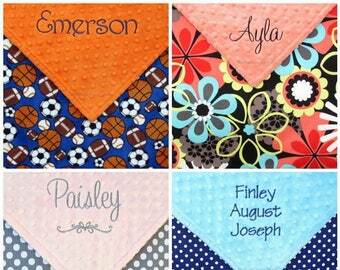 Please mention if this is for a boy or a girl...I will use a more "boyish" font for a boy, if you specify.